“Counseling is a theological discipline.” That statement captures the very heart of Lambert’s book. It is also, he says, the most “controversial part of this book” (11). Despite what many others believe, counseling is inherently theological and as such we must wrestle seriously with the theological foundations of our counseling ministries. In A Theology of Biblical Counseling Lambert attempts to outline the major doctrines of the Christian faith to demonstrate how they are indeed foundational for faithful counseling. The book is a comprehensive case for the sufficiency of Scripture in counseling all people. It should be stated that while this is not a systematic theology in the traditional sense it does parallel good systematic works. Lambert has demonstrated his own theological acumen and erudition in this volume as he tackles ten major doctrines of the faith in more than a cursory fashion. He does not, naturally, go into all the detail of a major systematician, nor does he directly interact with the dominant theological voices on these subjects, but readers will not find in these chapters an amateur gloss on doctrinal issues. There is a real theological development in each chapter. The key difference, however, between Lambert’s work on other systematic works is the application he gives specifically to counseling contexts. Each chapter begins with a case study and the doctrinal topic is then beautifully woven into the details of that case across the length of the chapter. The book is applied theology, but in a very unique fashion. In other words, despite their many helpful insights, secular psychology cannot match the relevance and quality of insight found in the Scriptures. His demonstration, argument-by-argument, of the sufficiency of Scripture for Biblical Counseling is invaluable to the contemporary movement. The book is worth the price just for these three chapters in my opinion. But the value doesn’t stop there. The work continues to expound the doctrines of God, Christ, the Spirit, Humanity, Sin, Suffering, Salvation, and the Church across its twelve chapters. With great finesse Lambert demonstrates how each doctrine is valuable to counselees as he seeks to help them with a wide array of problems. Interacting with relevant Scriptural passages, critics of Biblical counseling, and a handful of academic theologians Lambert gives us a thoroughly theological counseling paradigm. This is a much-needed work that certainly builds on Jay Adams, but also goes beyond him. While Adams and Lambert interact with many of the same doctrines, Lambert does a good job of contemporizing his work to answer the most pressing attacks by critics of Biblical Counseling, especially those from within Evangelicalism. His work answers a much-needed call to formally and strategically respond to opponents. This is a great book. It is highly accessible and will serve as a great introduction to Biblical counseling for those who are just beginning to understand it. It will become, no doubt, a resource we use in our counseling training program here at CBC and a standard book I recommend. It will also serve as a good refresher for more seasoned counselors who need to be reminded of these foundational truths. 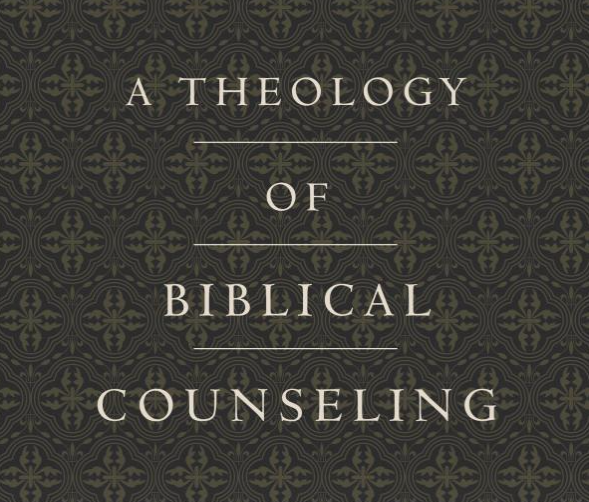 I highly recommend A Theology of Biblical Counseling.